The history of one of the oldest European porcelain ware manufacturers dates back to the 18th century, when according to the edict of the daughter of Peter the Great Empress Elizabeth the Imperial Porcelain Factory was established. Thanks to the talented Russian chemist, the inventor of Russian hard-paste porcelain Dmitry Ivanovich Vinogradov – the secret of “white gold” production was unlocked. For the first time in history of ceramics Vinogradov presented the scientific description of porcelain production thereby enabling manufacturing of high quality porcelain ware out of domestic raw materials. What especially makes The Imperial Porcelain Factory that famous is the production of magnificent table sets that started during the reign of Catherin the Great. “Catherin porcelain” was recognized as a piece of art together with canvases and sculptures of prominent masters. Among the most well-known table-sets ensembles are “Gur’ev”, “Armorial” table sets, and collector’s plates from the “Gothic stained glass” table set. Later on the IPF started producing porcelain “dolls” – small figures of animals and people that were used for table decoration. The main task, which was given to the Imperial Porcelain Factory, was to “provide whole Russia with porcelain”- which still remains to be its motto. 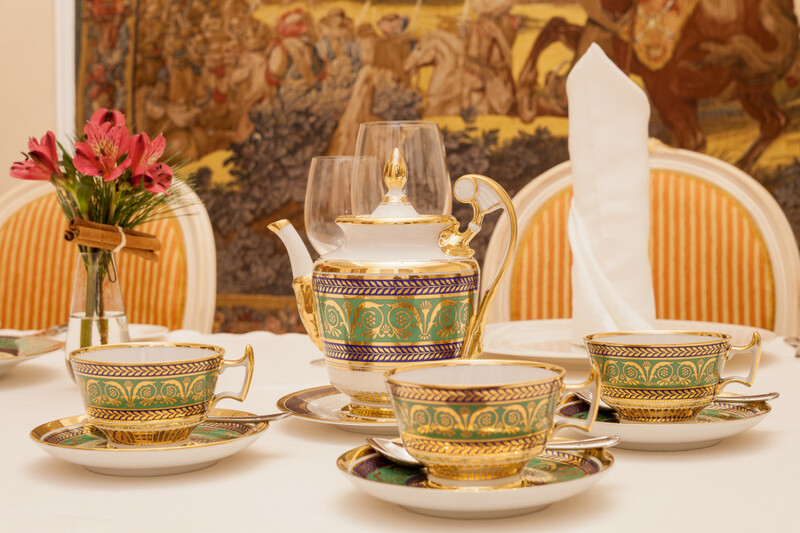 Till present day the IPF produces magnificent porcelain ware according to the sketches of most famous vases and table plates that belonged to the royal family. In our shop you can find the unique plates manufactured by The Imperial Porcelain Factory based on the original table sets, kept in the State Hermitage Museum and former residences of the members of the royal family. 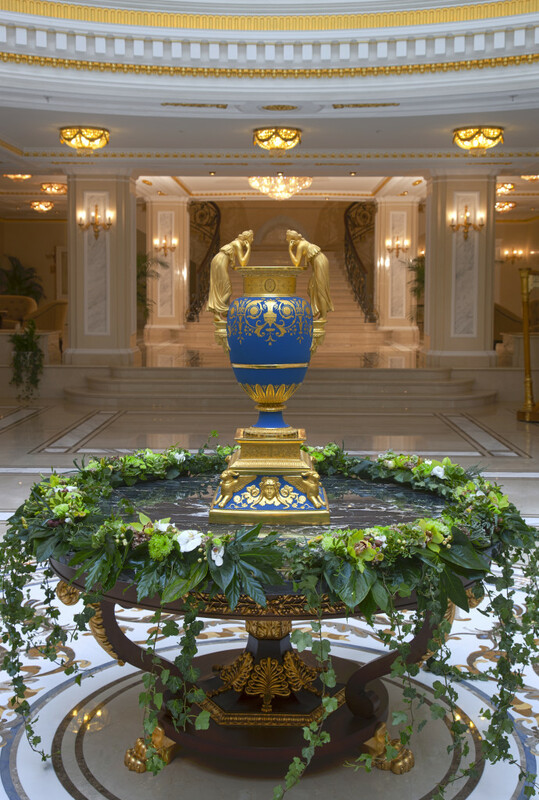 Incomparable hand dropped vases in Russian Empire style such as “White night on Moika River”, “Michael Castle”; marvelous vases made in technique of glazed landscape painting such as “Russian side”, “Hermitage” are made in a skillful way by the masters of the IPF and represented in our shop. You can find a great variety of porcelain statues made in the technique of hand dropping with manual overglaze painting such as “The Firebird”,” Lady with a parrot”, “Fortuneteller” and countless numbers of other masterpieces. Touch the sumptuousness, in the best traditions of the Royal Court.